HP has launched the ZBook x2 tablet, claiming it as the "world's first detachable workstation." The company is targeting designers with its all-new detachable tablet which supports digital pen. It has been priced at $1,749 (roughly Rs. 1,14,000) and will be available starting December. The HP ZBook x2 is being pitted against Microsoft's Surface Pro and Surface Book. It also comes with dual-fan active cooling system. It comes with a built-in kickstand as well as a detachable backlit keyboard. 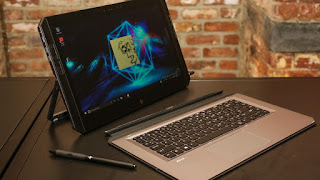 The keyboard connects to the HP ZBook x2 via Bluetooth and can be used even without being attached to the tablet. It features HP Quick Keys with 18 Adobe app shortcuts. The tablet can be docked to the display via the HP ZBook Dock with Thunderbolt 32. It also supports laptop-mode where users can utilise the integrated 160-degree stand and full-sized keyboard. HP says that the Wacom EMR pen responds instantly with almost zero latency and can detect 4,096 levels of pressure. The best part is the pen doesn't require charging. It features 14-inch LED-backlit anti-glare touch display with a screen resolution of 3840x2160 pixels. It will come in 128GB, 256GB, 512MB, and 1TB solid state drive options. 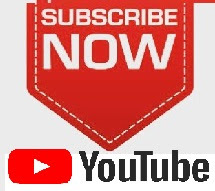 SUBSCRIBE ► https://www.youtube.com/c/Gogetyours Follow me on ► instagram https://www.instagram.com/gogetyoursr... ► twitter https://twitter.com/gogetyourreview ► Facebook https://www.facebook.com/gogetyoursre..